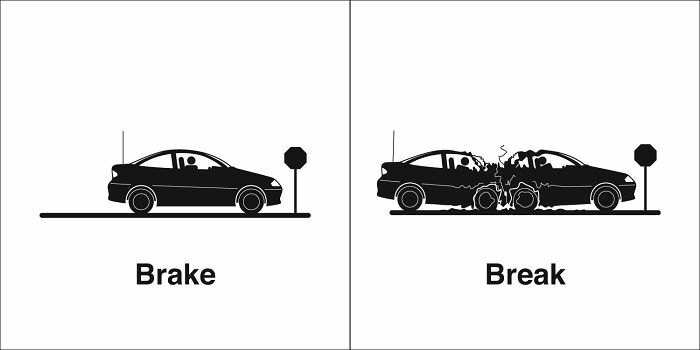 What happens when a frog’s car breaks down? 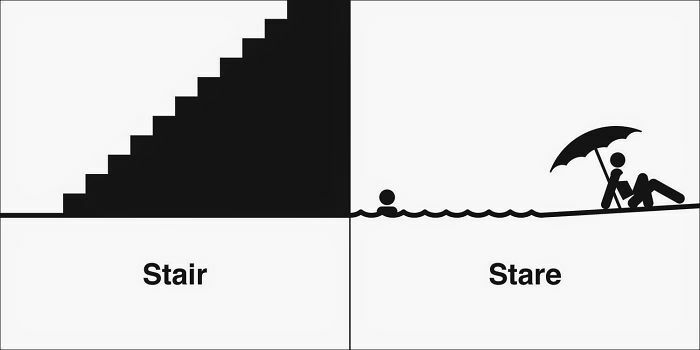 It gets toad away. 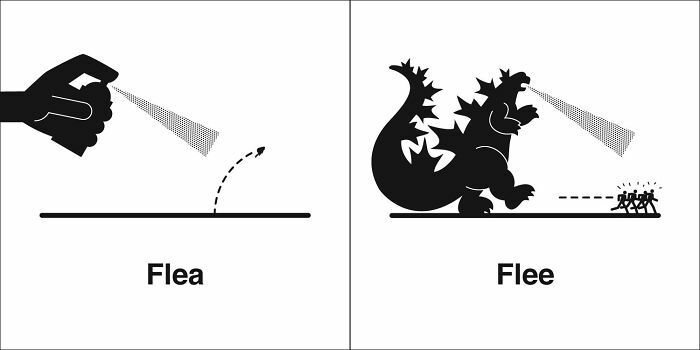 If you’re like me and laughed at this joke more than you probably should have, you know that words are fun. 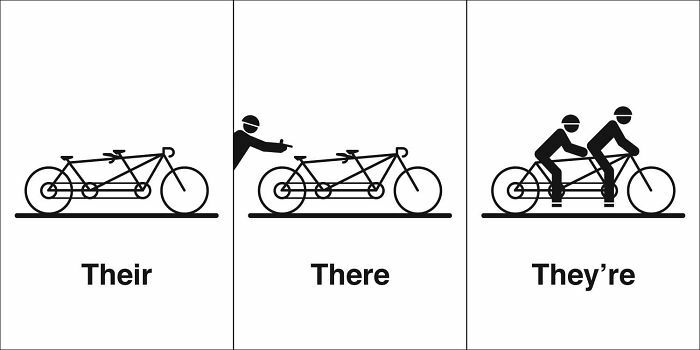 Bruce Worden, the man behind a blog called Homophones, Weakly, also shares this opinion. 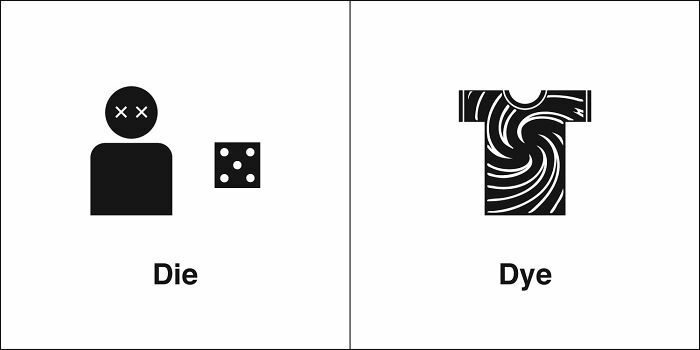 Like you might have already guessed, he’s into homophones (each of two or more words having the same pronunciation but different meanings, origins, or spelling). 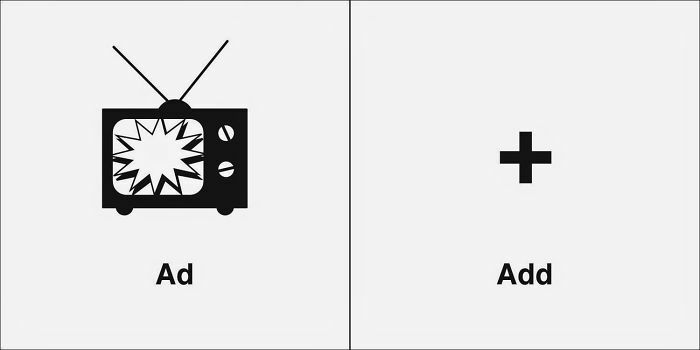 In fact, Bruce likes them so much, he’s even visualizing them! 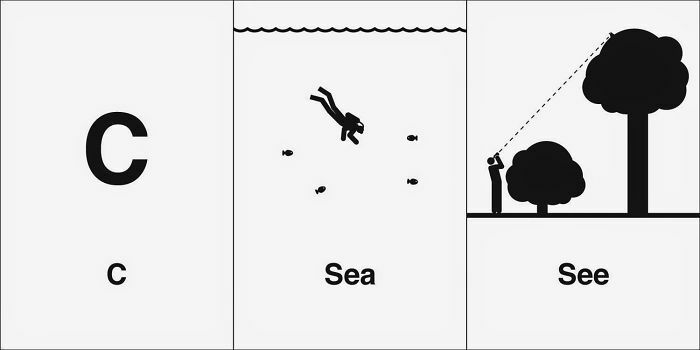 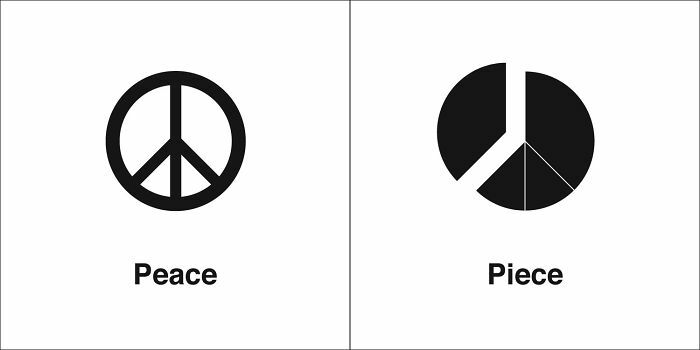 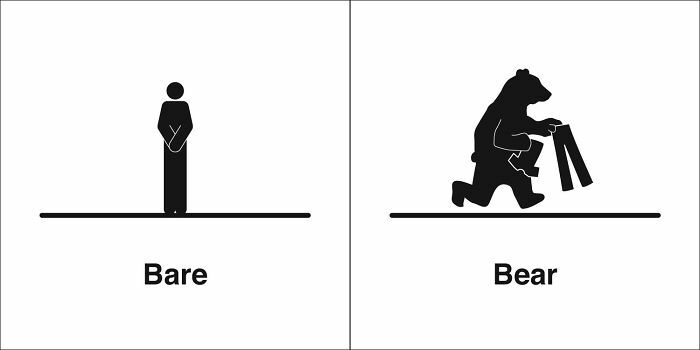 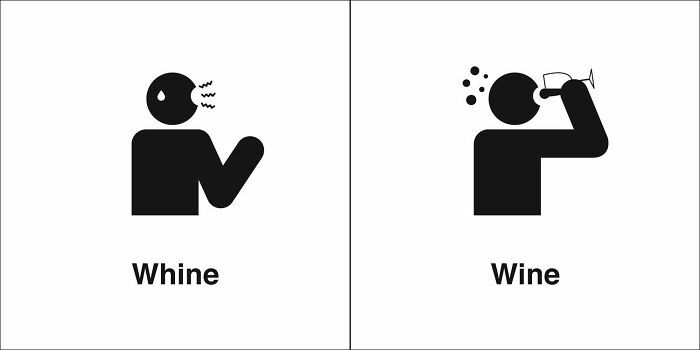 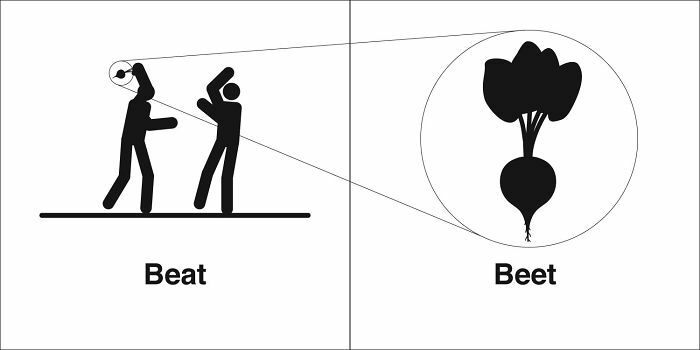 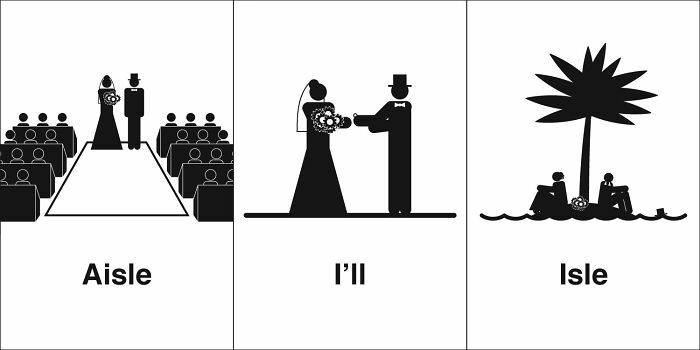 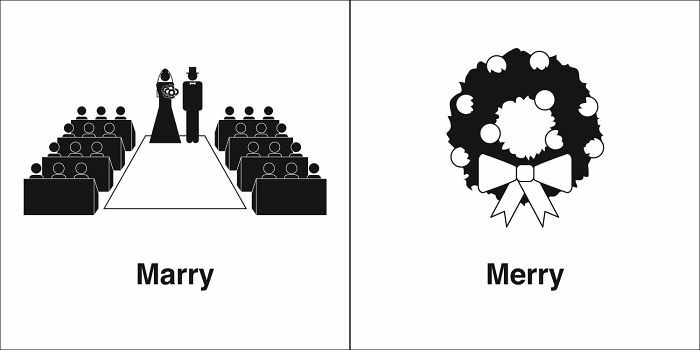 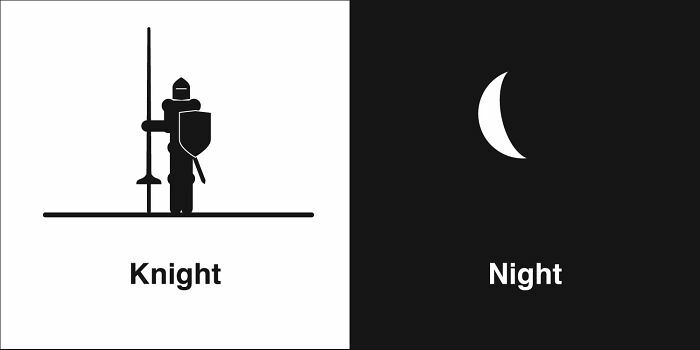 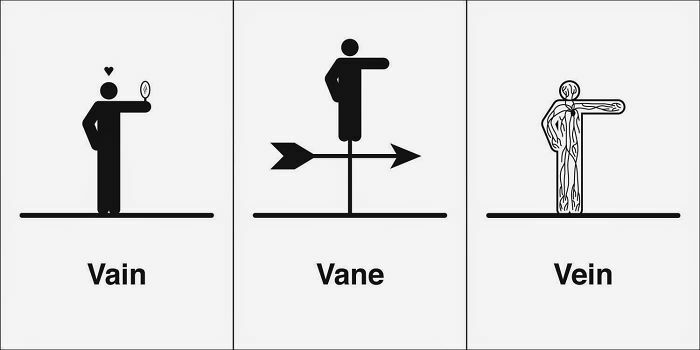 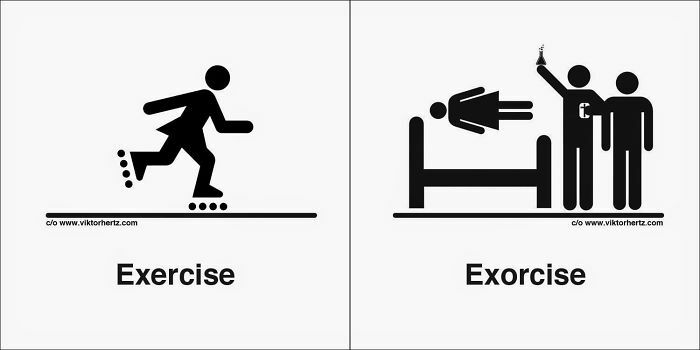 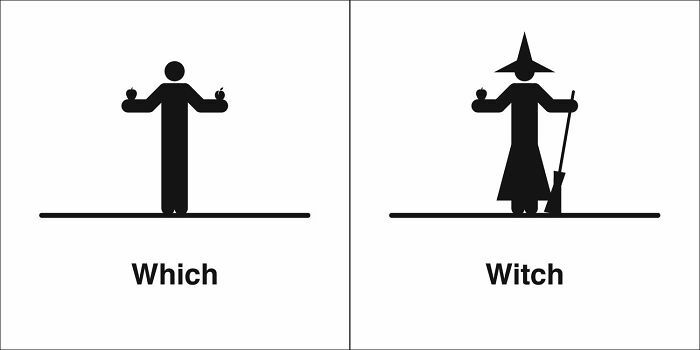 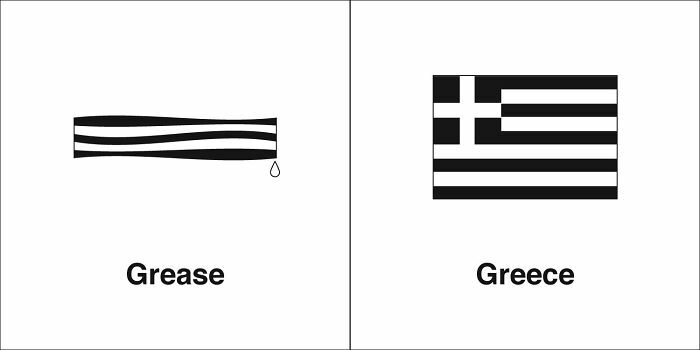 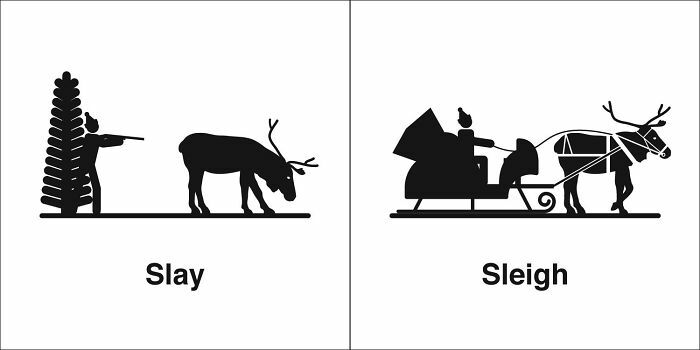 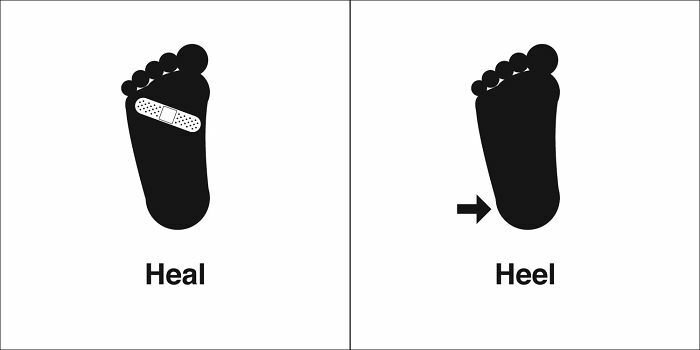 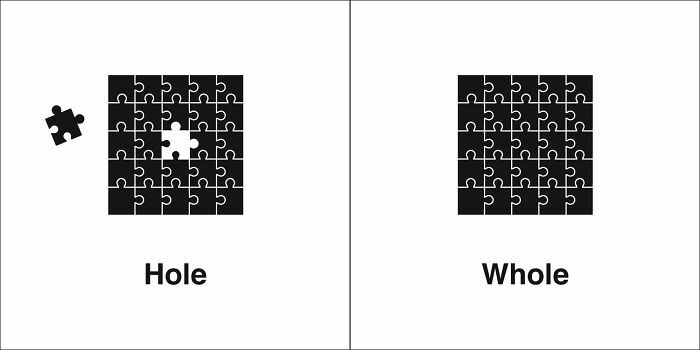 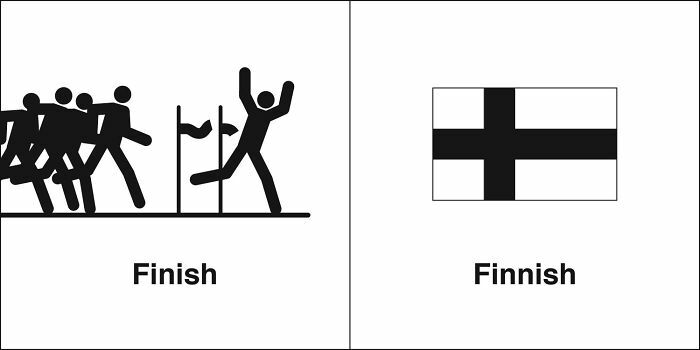 Poking fun at the English language, Bruce uses minimalistic illustrations to prove that we just have to listen. 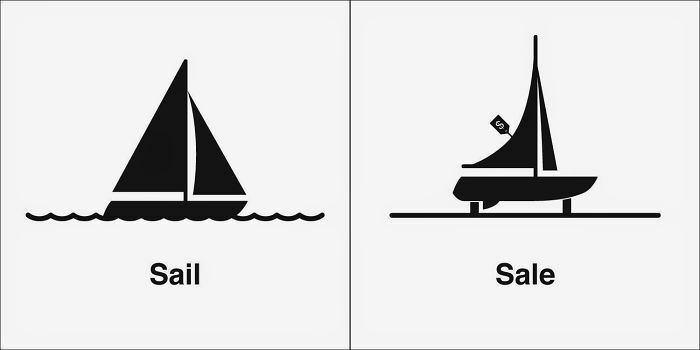 For without context we couldn’t know if someone is inviting us to a sail or sale. 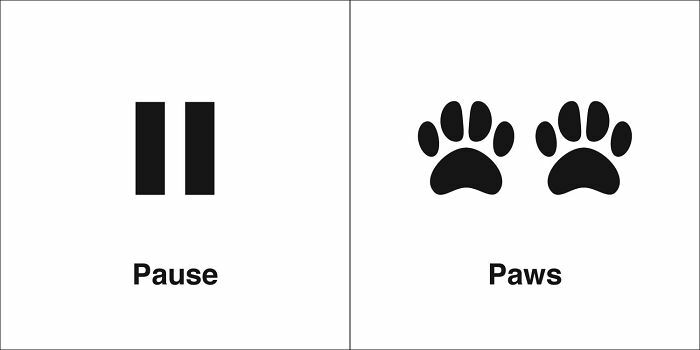 Scroll down for the images and upvote your favorites! 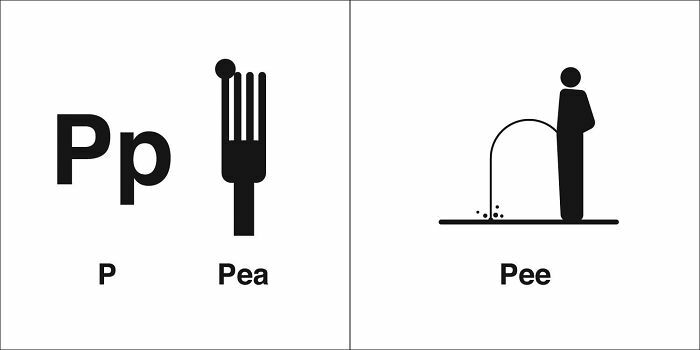 Also, be sure to check out our list of the 20+ ‘Same’ Things That Most People Don’t Know Are Actually Different, too!